Airlink connects you to Antananarivo with direct flights from Johannesburg. Antananarivo, more commonly referred to as Tana, is the capital of Madagascar, and is known as the main access point to the island for travellers. This lively city is a former French colony and has a distinctly French feel to it. Set on twelve hills, the heart of Antananarivo is built over three levels, each connected by numerous staircases. Previously disregarded as a worthwhile travel destination, Antananarivo has in recent years grown in popularity with travellers. It’s a wonderful city and is loved by many for its wealth of history and culture, as well as its delightful shopping opportunities and world-class cuisine that could rival Europe’s Michelin-starred restaurants, but without the high price tag. There is so much to explore in Antananarivo, it’s worth spending a couple of days there before continuing with your travels through Madagascar. Antananarivo. Antana-na- what? Yes it’s bit of a tongue twister. The locals call it Tana, and it’s the capital city of Madagascar, the world’s fourth largest island. I’d been to Madagascar before – way before I started this blog – and my first trip there left me longing for more. So when SA Airlink, asked me to join them on a whistle-stop tour of the Madagascar’s capital city, I couldn’t say no. 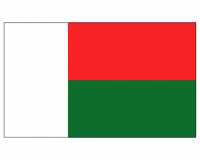 Visas & Passports Unlimited provide worldwide visas services to Madagascar.